This adventure takes you beyond the mainline, off the beaten track, to the far side of human space. A new universe is dynamically generated every day. Each one will be different, each one offers you new paths to explore, decisions to make and wealth to be found. 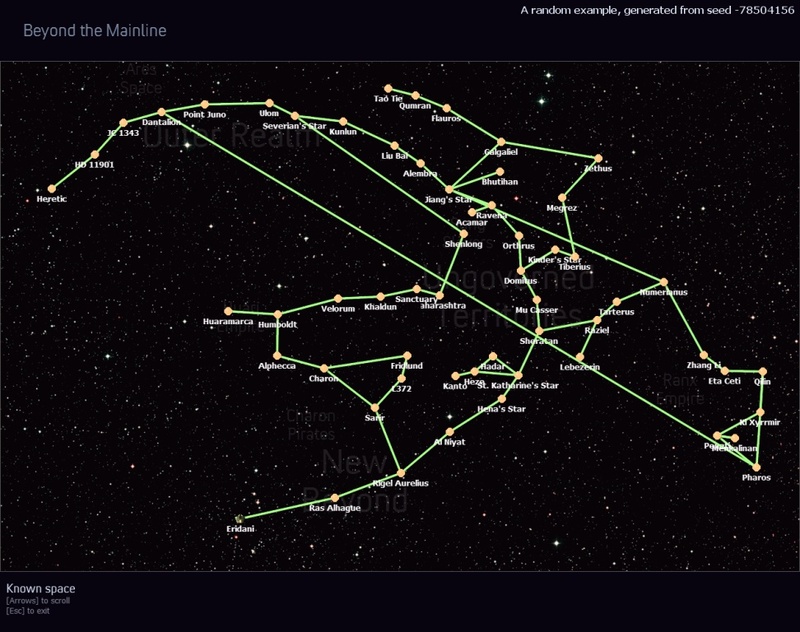 Beyond the mainline is a mod that dynamically generates a star gate network of some 58 star systems (maximum). 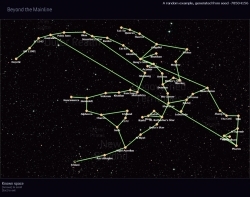 The generated topology is based on a set of rules and initiated by a seed value. By default, the seed is based on the date, so the same topology is generated each time you start a game today and a different one will be created tomorrow. You can change this and other settings to your own liking. It is indeed intentional that Elysium is not supported by this mod. See the forum thread linked by RPC for more information. Nice -- not as mindblowingly huge as The Network, and more flexible. I dig this. Gonna test it out as soon as I play again. Reuploaded a new version at 500 downloads. I tried using this, but when I docked with the Sisters of Domina at game start, there were no introductory dialogues, no Benedict, no drone fight. I turned off my other mods and tried again, but same result.